Wool has some unique characteristics – it can keep you warm inspite of being soaked in water. 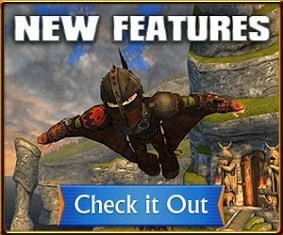 That’s why mountaineers wear plenty of woolen clothing when they’re climbing. 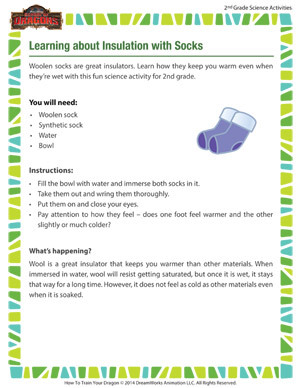 Use this interesting science activity to learn about insulation with woolen and synthetic socks. Also browse through other science printable activities for 2nd grade, at the School of Dragons.